Looking for an easy birthday theme that's also a ton of fun? Throw a bowling party for your child. 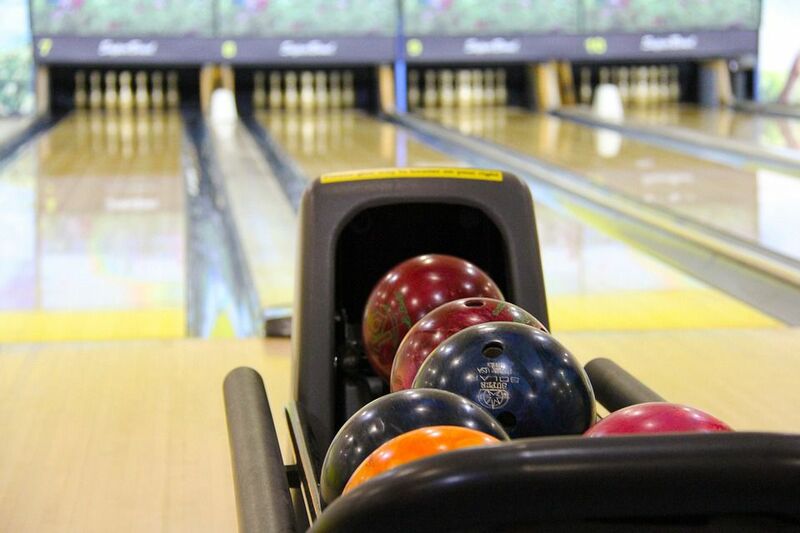 Here are some suggestions for a bowling birthday party that isn't stuck in the gutter. Call your local bowling alley well in advance of the birthday party. You’ll likely need to reserve the lanes for your group. Ideally, you’ll want one lane for every four bowlers. Some bowling alleys will allow you to have more than that, but the kids might get restless waiting long for their turn to come up. Tip: Some bowling alleys have discount nights for families, and that rate is sometimes less expensive than a group party rate. This might mean hosting the party on a Tuesday instead of a weekend, but if that works for you, you could save a chunk of money by taking advantage of that. Also find out whether you can bring a cake, drinks and snacks and other items you might want or need. More than likely, you’ll be able to bring a cake, but you’ll have to order snacks and drinks from the venue. Depending on the time of day of the party, you could plan to serve French fries and other small bites or order pizza, burgers, or another dinner fare if the party is held during the lunch or dinner hours. Some bowling venues will offer a party package that includes food, so ask about any group rates they offer to make the food more affordable. Before purchasing or making decorations, also inquire about the rules regarding those. The bowling alley might say balloons are OK, for example, but confetti is not. Another important piece of information to gather ahead of time: do the kids need to bring their own bowling shoes or is renting them part of the package? That’s especially important if the party is for very young children or if younger siblings will attend since some bowling alleys don’t have shoes in small sizes. If that’s the case, you’ll want to warn those parents to bring sturdy sneakers for the young children to wear. On the invitations, also advise everyone to wear or bring socks. Speaking of invitations, set the tone for the party with bowling-themed invites. You could purchase them at party stores or online, or customize and print your own. Ask your child to draw a picture related to bowling. Scan the image and add the text that explains the party details next to the picture using a page design program on your computer. Then, print as many copies of the invitation as you need onto card stock. You could even use the images to make iron-on transfers for tank tops to give out as party favors at the end of the day. The first step when planning the decorations for any party is to choose a color scheme. Many families give bowling parties a retro or 1950s feel. If so, choose pink and black or turquoise in black. Otherwise, go with the birthday kid’s favorite colors or find inspiration in a pair of bowling shoes. But, again, before you dive too deep into decorations for a bowling party, ask your contact at the bowling alley what is permissible and what isn’t. You’d hate to waste hours making homemade details or spend a bunch of money on store-bought decorations only to find out you’re not allowed to use them at the venue. Party garland of dangling bowling shoes, balls and shirts cut from construction paper. Black balloons with “holes” drawn on them to resemble bowling balls. An arrangement of white and red balloons that resembles a bowling pin. When it comes to party supplies, use items with 50s-era touches. Since bowling alleys are usually a bit dark, ask if you can hang some strings of Christmas lights in the party space (but not near the bowling lanes, where the cords could create a tripping hazard). Ask guests to come to the party wearing bowling shirts or 1950s attire. You could also provide a trunk full of clothes and props to wear, including cat’s eyes glasses, scarves to tie around their necks and argyle sweater vests (many of which you could probably find at a thrift store). Naturally, bowling will be the party's main activity, but you can jazz things up with some of these bowling party games that are meant to be played on the lanes. Gift cards for a free game on a return trip to the bowling alley. The beauty of a bowling party is that the activity is already set. A typical bowling party involves bowling during the first hour, and then eating snacks, opening presents, singing the “Happy Birthday” song, eating cake, handing out favors and saying goodbye during the second. Have the kids crack open a bowling pin-shaped piñata. Hold mini contests during the bowling, such as who bowls with the most style and who can knock over the most pins by bowling backward. Set up a craft table where kids can paint their own mini bowling pins. Most bowling alleys will require you to order food from their kitchen if you’re serving lunch, dinner or snacks. You’ll likely choose between items like pizza, hamburgers, French fries and other typical bowling alley food. The venue will probably let you bring in your own cakes or cupcakes, though, which is great because bowling-themed treats are fun to make (or fun to order from your favorite bakery!). The popular idea is to serve a cake shaped like a bowling ball and two pins. The cake could also be a long rectangle frosted brown to resemble a bowling lane. You could simply frost the cake and then decorate it with bowling pin cookies. If you prefer cupcakes, you could use fondant to decorate them with bowling images. You could also simply frost the cupcakes and then wrap them in these bowling-themed cupcake wrappers. Or frost them with a solid color and then place three M&Ms on them (“M” side down) to resemble a bowling ball with finger holes. For bowling party favors, shop for bowling pin-shaped items, such as water bottles and flashlights. Or, be sure to take a photo of each guest as they’re bowling, send the kids home with a picture frame, and then have the photos printed. Mail the photo to each child along with their thank you card so they can then insert the picture in the frame. Here’s an idea for you crafters: make a small bag shaped like a bowling bag using an X-Acto knife, glue, and cardstock, and then fill the bag with candies or other small prizes. Ever notice how Nutter Butter cookies sort of look like bowling pins? Fill a cellophane baggie with some of those, plus some small gumballs (to mimic bowling balls). The bottom line? Don’t let the venue limit you when you host a bowling birthday party. You can still bring your own creativity to the (sometimes dark and dreary) space. And then sit back and watch the birthday kid and the guests bowl the day away.